North Korea: Will student’s death trigger U.S. backlash? The death of American college student Otto Warmbier is a typical North Korean tragedy, said Michael Kirby in The Sydney Morning Herald (Australia). Warmbier, then 21 and studying in China, was in North Korea on a tourist visit early last year when he was arrested for allegedly trying to steal a propaganda poster from a hotel. For this petty crime, the Stalinist regime of dictator Kim Jong Un sentenced Warmbier to 15 years’ hard labor. Holding American tourists and aid workers hostage is a favorite tactic of the regime, “designed to serve as inducement for outlandish concessions and to signify humiliation and submission.” In this case, the ploy ended in death. 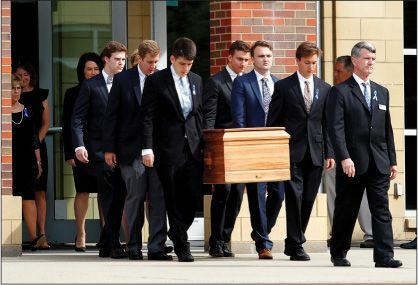 After Warmbier was sentenced, something happened that put him into a coma—the regime claimed food poisoning, but U.S. officials suspect he was suffocated or brutally beaten—and he died last week just days after being flown home to his parents in Ohio. Let’s hope his senseless death draws global attention to the unique savagery of Kim’s gulag state, where suspected dissidents are tortured as their family members look on and schoolchildren are forced to watch public executions. South Korea must join America in expressing its anger at North Korea, said the Dong-a Ilbo (South Korea) in an editorial. The six South Koreans who are currently being held hostage by the regime are surely receiving the same vicious treatment as Warmbier. The student’s horrific death has understandably put a stop to attempts by President Trump to negotiate with the North over its expanding nuclear weapons program—the U.S. has realized this is not a regime that can be reasoned with. Yet our new president, Moon Jae-in, refuses to recognize that something fundamental has changed on the Korean peninsula and still wants to hold talks with Kim. For the sake of the U.S.–South Korea alliance, Moon should abandon this “unrealistic fantasy” and stand firmly behind a grieving America.